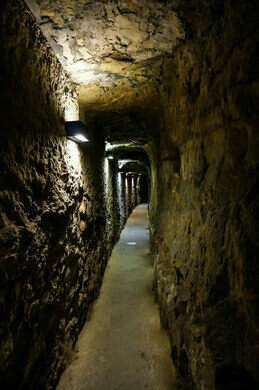 An expansive complex of subterranean tunnels is all that remains of one of Europe's most formidable medieval fortresses. 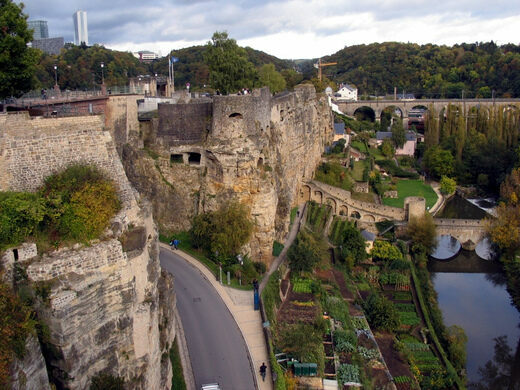 Once known as the Gibraltar of the North, the mighty fortifications of Luxembourg were first built in 963. Over the following centuries, the city was held in turn by Burgundians, Spaniards, Austrians, French, and Prussians, as each group vied for military control of Western Europe. 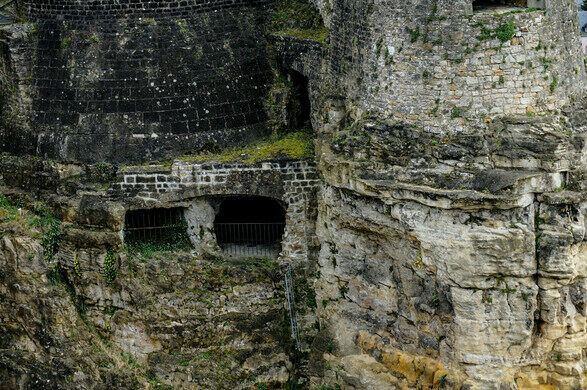 Finally demolished in the late 19th century to prevent further conflict, the Bock Casemates are the only part of this formidable stronghold that remain largely intact. Once the local rulers had gone these enchanting ruins housed common folk in an almost real life fairy tale. This tri-part waterfall is a little bit of fairytale beauty in the heart of Luxembourg's Little Switzerland. 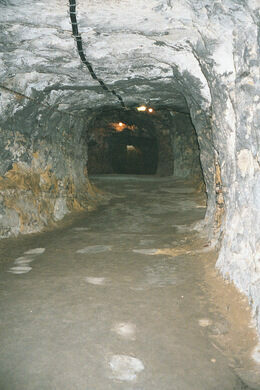 This Luxembourg cave is covered in cryptic looking marks left by mining activity. The Bock is the name for both the fortress erected by Count Siegfried in the 10th century, and the imposing rocky promontory on which it was built. Originally constructed as an impregnable position from which to protect Siegfried’s holdings, over time the Bock became strategically critical to dominating the west bank of the Rhine, projecting power across the French-German border, and controlling the Low Countries. As such, the defensive structures of the site were continually expanded and improved upon by each subsequent owner. 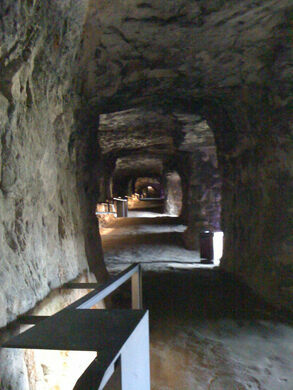 The fortress’s casemates (i.e., fortified gun emplacements) were started by the Spanish in 1644, using the cellars of the medieval castle as their basis. 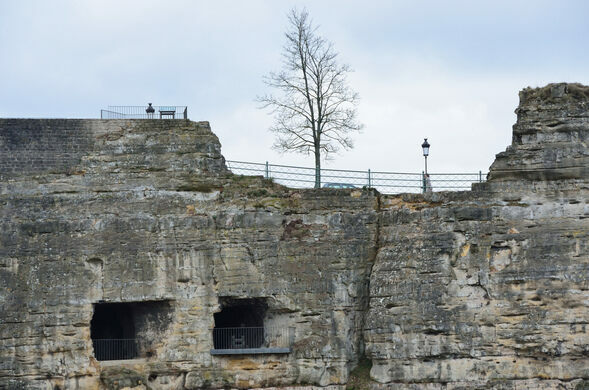 Extended by the noted French fortification engineer Vauban in the 1680s and fully realized by the Austrians in the mid-18th century, the Bock Casemates were ultimately much more than cannon perches. Consisting of 23 kilometers (14 miles) of tunnels delving as deep at 40 meters (130 feet) below the fortress above, they included not only 25 artillery slots but also stables, storehouses, workshops, kitchens, bakeries, slaughterhouses, and barracks for 1200 soldiers. 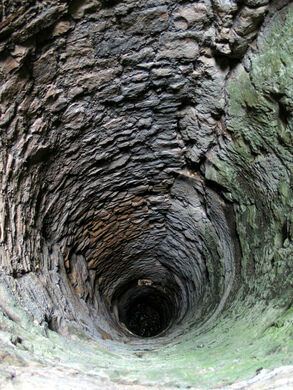 A well 47 meters (155 feet) deep supplied the installation with fresh water. 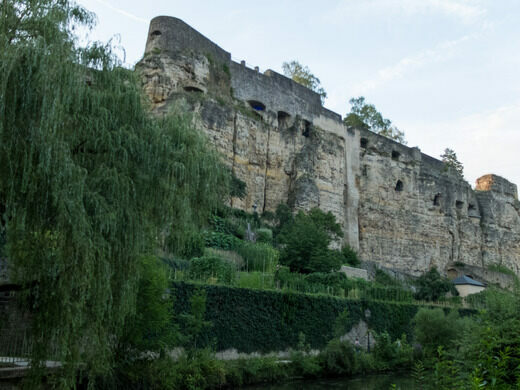 The casemates helped the Bock resist a seven-month siege by the French Republican Army in 1794; when the Habsburg forces in the fortress eventually surrendered, the walls remained unbreached. Ultimately, the Bock proved too valuable, and its destruction (as well as the perpetual neutrality of Luxembourg) was ordered by the 1867 Treaty of London in an effort to defuse tensions between France and Germany. The demolition took 16 years to complete. 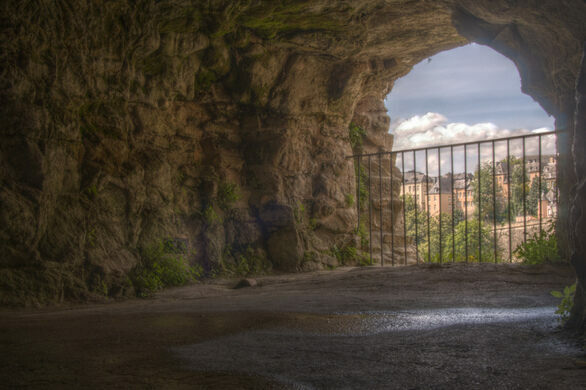 However, the casemates could not be destroyed without also destroying part of the city, so 17 kilometers of the subterranean tunnels still remain. The Bock Casemates were opened to the public in 1933, and were used as a bomb shelter for 35,000 people during World War II. Visitors today can still descend from the heights of the Bock to explore the expansive honeycomb military engineering marvel below. This noble mash-up in eastern Luxembourg is part Medieval, part Renaissance, all castle. An abandoned canal route lies hidden under the streets of Manchester. There's a labyrinth of medieval chambers hidden deep below a 15th-century pub. Colorful lights and mirror-like brine pools create trippy illusions within the historic mine. The hellish conditions of this abandoned mine that snakes beneath the Pacific Ocean gave it its diabolic name.